Her Biggest Fan. . . When she wakes up, she's very cold. Colder than she's ever been in her life. She can't move or speak. And then she sees him. The one who took her. And before she dies, she wishes she could scream. . .
Is About To Become. . .
Former movie star Jenna Hughes left Hollywood for an isolated farm in Oregon to get away from fame. But someone has followed her--an obsessed fan whose letters are personal and deeply disturbing. And while Jenna's already shaken up by what she's seen on paper, she'd be terrified if she knew what Sheriff Shane Carter is investigating. It's a shocking case that started with the discovery of a dead woman in the woods. Now two more women are missing, one of whom bears a striking resemblance to Jenna. . . Her Worst Nightmare. 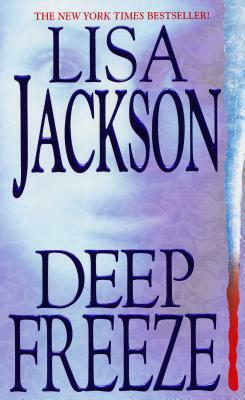 . .
LISA JACKSON is the #1 New York Times bestselling author of more than seventy-five novels, including After She's Gone, Close to Home, Tell Me, Deserves to Die, You Don't Want to Know, Running Scared, and Shiver. She has over twenty million copies of her books in print in nineteen languages. She lives with her family and three rambunctious dogs in the Pacific Northwest. Readers can visit her website at www.lisajackson.com and find her on Facebook.